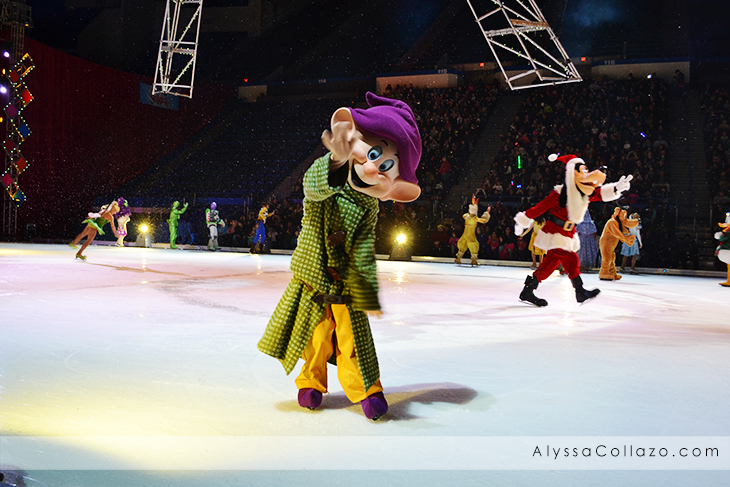 This past Wednesday, Disney on Ice and Feld Entertainment invited my family to be there guest at Disney on Ice Let's Celebrate in Hartford, Ct at the XL Center. Today I thought I would share with you my review of Disney On Ice: Let's Celebrate. 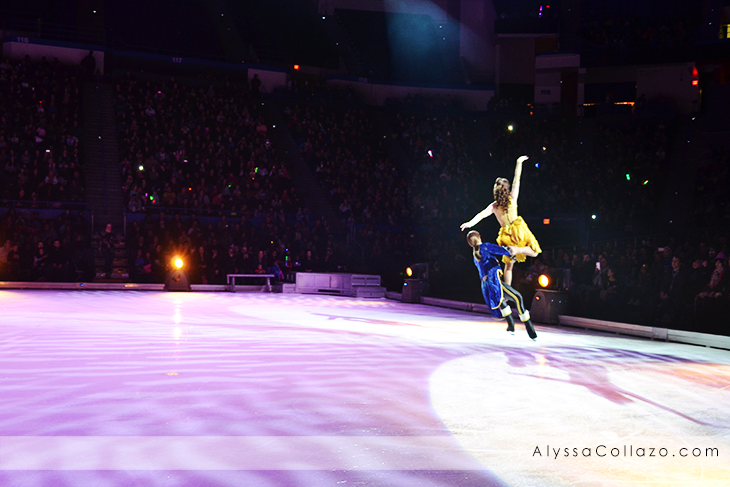 This was our third time attending a Disney on Ice show and our first time sitting in the front row. We truly experienced a bit of Disney magic last night. This was hands down one of the greatest shows. The awe in my daughters eyes and smiles on their faces could have qualified for a Disney commercial. Disney is a master at creating family entertainment that is not only flashy and fun but strikes a sentimental chord between parents and children. And last night, Disney did just that, plus more. 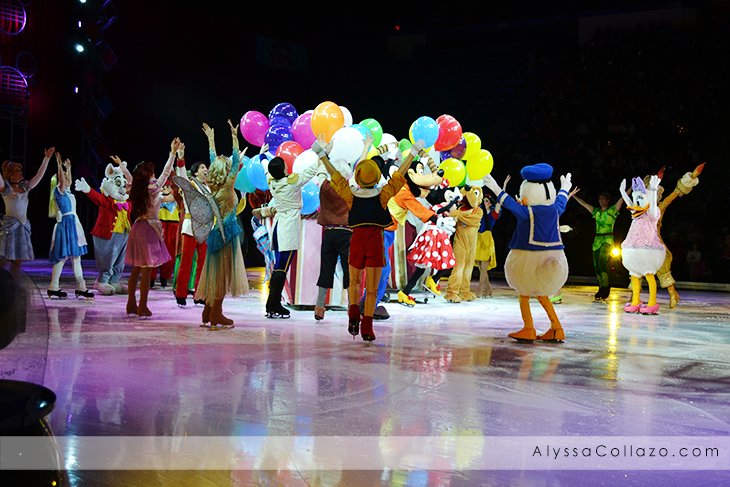 It's one colossal party on ice, with all your favorite Disney friends at Disney On Ice presents Let's Celebrate! Presented by YoKids Organic Yogurt. Join Mickey Mouse, Minnie Mouse, Donald and Goofy as they celebrate a Very Merry Unbirthday Party with Alice and the Mad Hatter; a Royal Valentine's Day Ball with your favorite Disney Princesses, including Cinderella, Ariel, Belle and Tiana; a Hawaiian luau with Lilo & Stitch; a whole new world with Jasmine and Aladdin; a winter wonderland with Woody, Jessie and Buzz Lightyear; a Halloween haunt with the Disney villains and more in a magical medley of holidays, celebrations and festivities from around the globe. The Valentines Day Ball was incredible, full of music and the Princesses interacted with the guests. Lucky Sophia even got a rose from Aladdin and Princess Jasmine! Her face was absolutely priceless. When Mickey announced the Halloween haunt and Jack the Pumpkin King came out, I died with excitement, as did my daughters. During the luau they lit a circle of fire and my girls couldn't believe it. It was perfect. Overall, Disney on Ice Let's Celebrate was incredibly magical, enjoyed by all of us and was a great way to spend time together as a family. There's nothing quite like a live performance. The routines in the show contain a fun mix of jumps, unusual tricks using props and costumes, romantic ice-dancing, and purposeful bloopers for comedy. The costumes are incredible. The characters look like they could have stepped out of the original Disney films. The stories include fun side characters such as Mickey and Minnie, Alice, Aladdin and Princess Jasmine, Ariel, Mulan, Tiana and Prince Naveen, Jack the Pumpkin King, Maleficent, and so many more. And the music, was perfect. We enjoyed dancing and singing with the characters. There's nothing like seeing your favorite characters come to life, it's an experience my daughters won't soon forget. They loved the show. My oldest Lilyana sang every song and was excited the entire time. It was amazing watching her interact with the characters. Sophia my youngest looked like a kid in a candy store. Her smile never left her face and when Princess Jasmine gave her that rose her face was priceless and I know she will treasure that rose for a very long time. When I asked them what they enjoyed best, Lily said watching Jack and all the Villains dance together and Sophia said watching Belle and all the princess dance. Can I still purchase tickets? Tickets: Ticket prices are $18.50 - $73.50, if you have not experienced Front Row seating, I highly recommend it. Have you attended Disney on Ice: Let's Celebrate yet? I would love to hear what you thought of your Disney experience here in Hartford, CT! DISCLAIMER: Tickets were provided by Feld Entertainment. All opinions stated are my own and are not influenced by any affiliates. How fun! 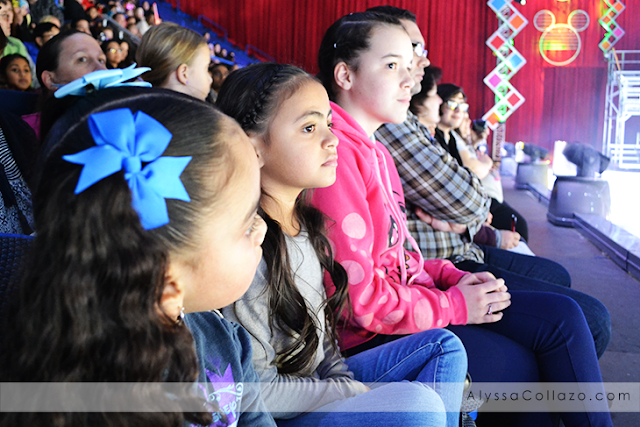 We love going to Disney on Ice shows, too! They always put on such a good show. Disney on Ice is always a great time. It's so much fun to watch the people leap and skate like fiends in their costumes. I have never seen one of these shows, but have always wanted to take my kiddo to it. Right now we have Frozen here. My kids love Disney on Ice. 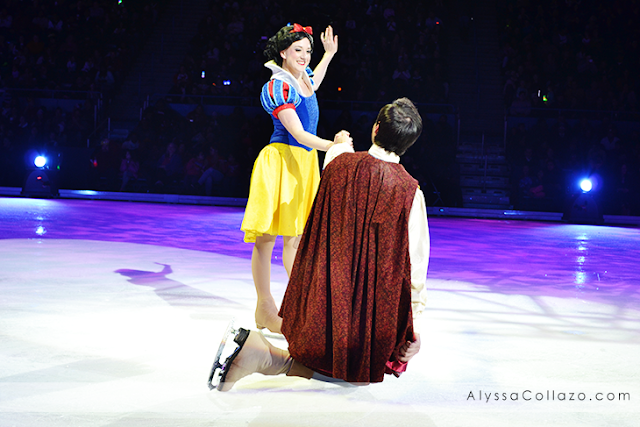 It's so exciting to see them bring classic stories to life on ice. I haven’t watch Disney on Ice show. This makes me want to grab tickets and watch it with my family. I have never been. But dying to go. I love all things Disney and on ice?! What could be better?! This looks awesome! I have never been on any of the shows on ice, but it would be great for a family event. This is absolutely a fun experience. I never try to watch this show in live i cannot affordable but i want to watch. Disney does everything better than everyone else! This is such a fun show and our kids (and us) always love going to see them when they are nearby. They are always incredible! 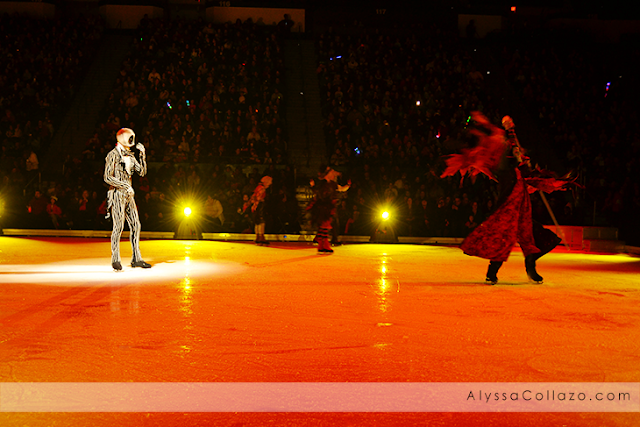 It looks like you all had an amazing time indeed at Disney On Ice Lets Celebrate. I have not yet had the chance to experience Disney On Ice yet. Hopefully some day I will be able to go to see a show. I love anything Disney and would love to go to a Disney Over Ice with my niece!! This looks like so much fun!! My oh my, my kids would be thrilled to see this show. Lucky for you guys, looks fun! I love watching the Disney on Ice shows with the twins. Last Christmas, we saw Ariel, Belle, Rapunzel, Elsa, Anna and the rest of the Frozen gang. I love Disney and have always wanted to go to Disney on Ice. Maybe one of these years I'll get to do that. Looks like so much fun. I would love to see Belle and the Beast. This would be such a fun show to go to. My friends little girls would be amazed to see it. 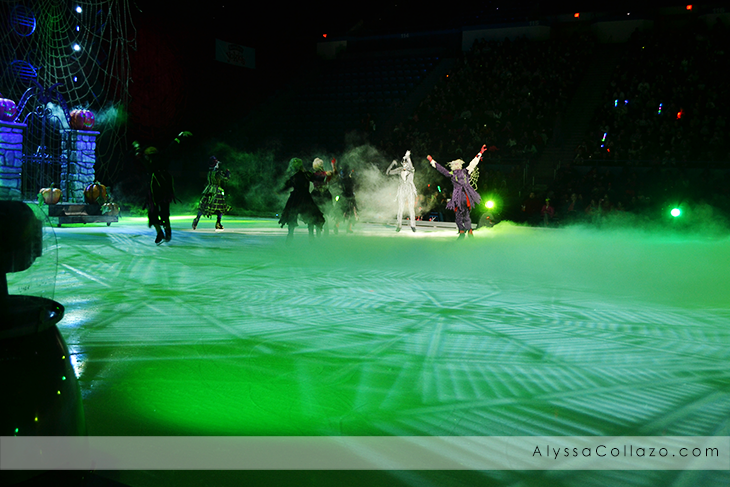 We've been to Disney on ICE several times and it is always very well done. I love to see the excitement on the kids faces. Wow that looks like fun! Your kids looked like they had a great time too. I'd love to see a Disney show one day. Aww, I remember loving Disney on Ice as a child and I am glad to see that they are as magical now as they were back then. I'm glad that everyone had a great time. That must have been so much fun for your family. We've never done anything like that before so hoping to someday. First of all your girls are beautiful! Next I wish I lived in CT I'd surely want to see the Valentine's segment. It sounds like your family had a great time at this Disney event. It looks so cool! I have to check it out next time they are in town!! So fun! 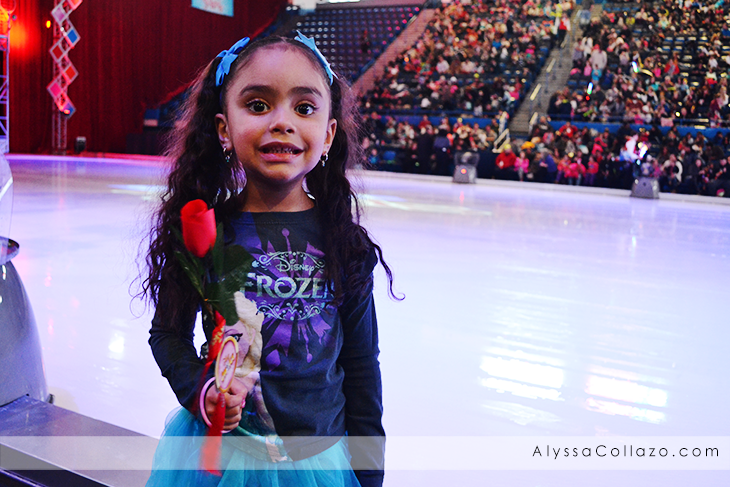 We love Disney on Ice and I'm crazy excited to take my daughter this year! Glad to see you had fun. We watched this last year and it was amazing. Definitely a must watch especially if you have many Disney fans at home. Elza and Anna are coming this year, looking forward to that. Great recap!! 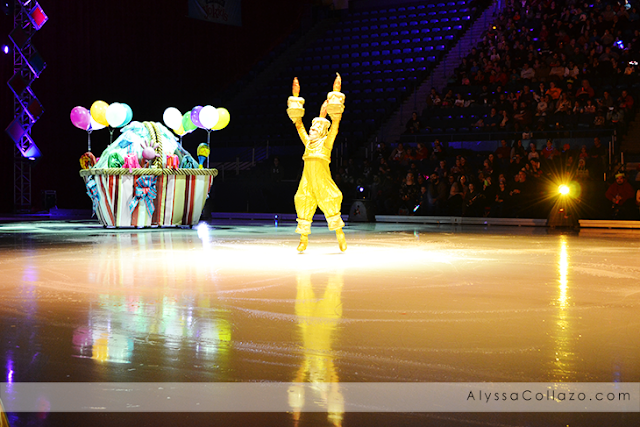 I remember to going to a Disney on ice as a child and one day I will take my children! OMG OMG OMG OMG! I didn't know they included Jack Skellington. I would pay just to see him! I haven't been to a Disney on Ice show since I was a kid. I've never been but I'm dieing to bring my daughters. I think they will simply fall in love with the whole experience. We had such a fun time when we went! They really put on quite the show. I thought the weakest part of the show was the Disney Princesses section. It was overlong, boring to the many boys there, and just basically uninteresting.